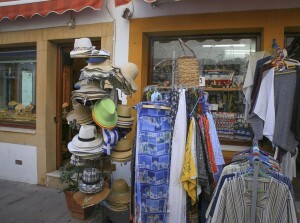 You can get many handmade things on the island and there are several art shops as well, all within a 5-10 min. drive away from Patmos Villa Sophia, since Patmos has inspired many artists from all over the world and some have come here to stay. On top from icon painting and pottery, jewelry making has also always been a tradition on Patmos. Locals used to buy gold and precious stones from pirates and hand craft them into beautiful masterpieces that were then exported all over Europe. Affluent Patmian captains traded grain and cotton with Alexandria, Odessa and Venice in the 18th and 19th centuries and erected imposing residences with building materials and furnishings imported from Europe. So, Venetian mirrors, English silver tea services, French chandeliers and Russian samovars arrived and are now banned from leaving the island. 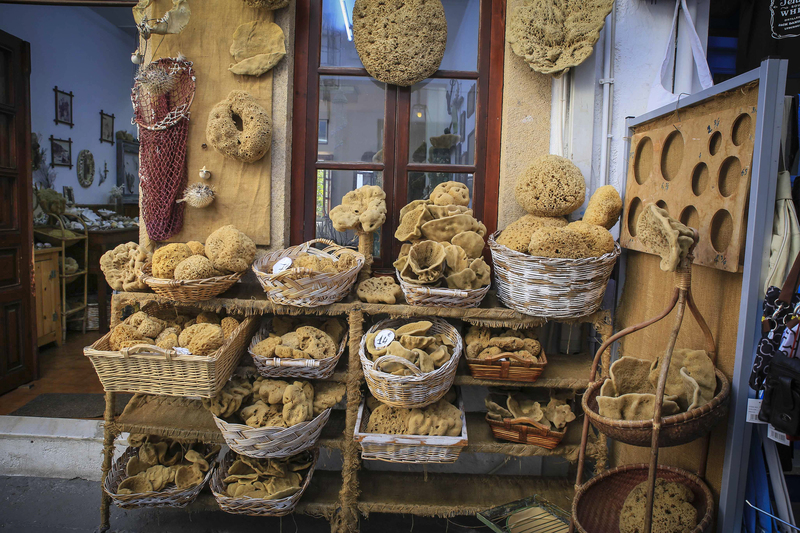 The most typical souvenirs understandably have to do with St. John and religious tradition and icons are sold everywhere but gift shops offer a wide selection of gifts and memorabilia so that you will probably find anything you want to remember Patmos by. Thanks in part to heavy cruise-ship patronage, Skála, the main port of Patmos, only a 5 min. drive away from Patmos Villa Sophia, has an abundance of arty (and sometimes pricey) souvenir boutiques, inland from the excursion boat dock, with antiques and unique creations sometimes created from old widgets by veterans of the Athens Flea Market (Monastiraki). At many shops you can find reasonably priced porcelain, crystal and silver items and the Patmian embroidery is famous for its elegance. About shoes and clothing, the local stores will satisfy most wants and needs for all ages and sizes, whether you’re looking for sandals for the beach or something to wear for the night out. Local “fashion code” dictates vintage kaftans and jeweled sandals if you are a woman and, for men, drifts of well-worn white linen – shalwaar kameez style, and of course a… suntan. 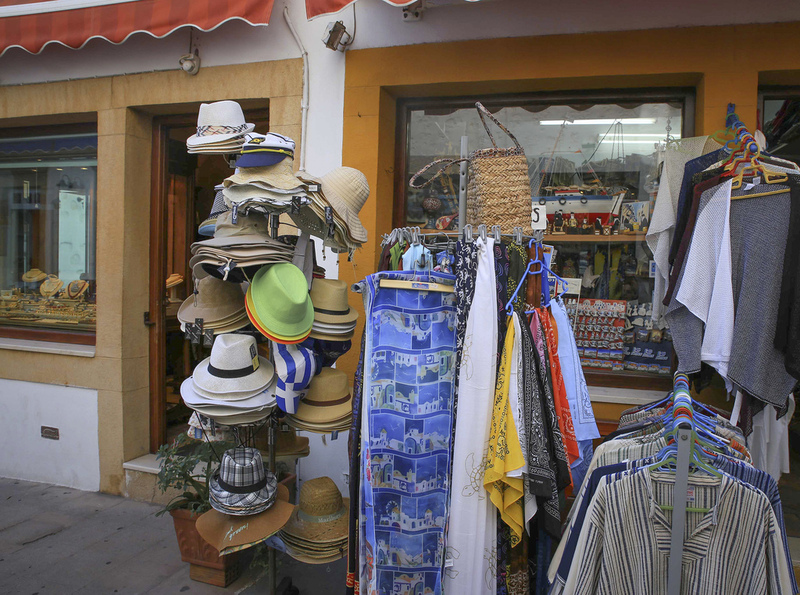 In its electronic stores, Patmos has everything a modern person could need or want, from satellite dishes to renting a DVD, and if something is not available, it can be easily ordered from Athens. 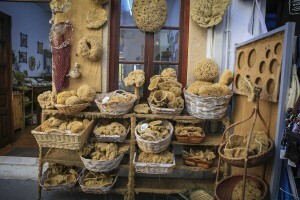 In Skala and Chora, you can find a number of good bakeries where you can buy fresh bread and traditional Patmos Pies – cheese – and other tasty sweet goodies, again within a 5 min. drive away from Patmos Villa Sophia. In addition, there are many delicious ice cream parlors and a couple of creperies with outside tables and chairs that serve delicious freshly made to order crepes. Regarding wine and liquor, from mythological times till today, wine has been a specialty of the Greeks and Patmos cannot be an exception. Greek wine has become more and more popular internationally, a sip of ouzo is a must for anyone traveling in our land and almost all other forms of liquor are widely available. In short, Patmos can offer almost everything a reasonable traveler needs and the list of supplies available on the island range from pharmaceutical, water fishing, gardening, hardware, building stationary, home ware, boat, auto electrical engineering, traditional ceramic to more or less anything else our modern civilization has to present, all within a short 3-4 miles distance from Patmos Villa Sophia.